At right angles to Placa, many small narrow streets run towards the north with numerous flights of steps ascending steeply to the northern section of the city walls. Running parallel to Placa, a long straight street (Prijeko) cuts across these little streets. The original picturesque outlook is well preserved in this part of the city. Prijeko street is a narrow but straight street and is bounded in the west by the lateral wall of the Franciscan Monastery and in the east the front of the church of St. Nicholas (Sv.Nikole). 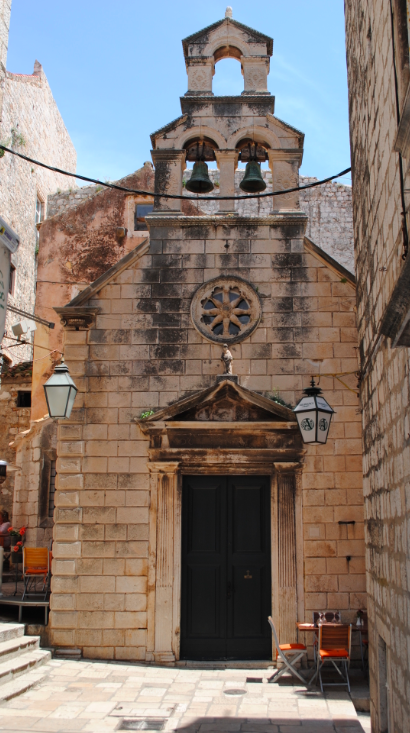 This little church is one of the oldest churches in Dubrovnik and built in the 11th century. 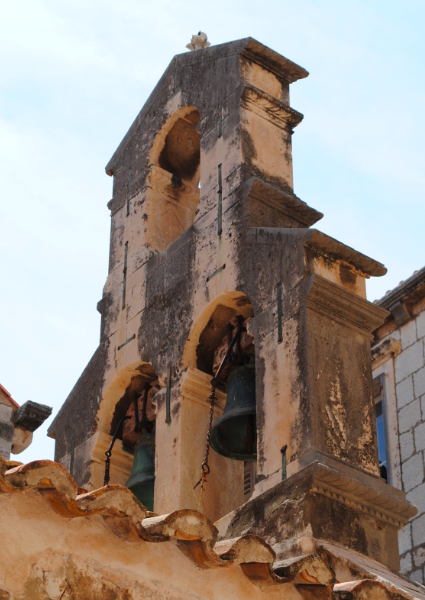 This church of the seamen of Dubrovnik was reconstructed several times and the present day Late Renaissance front dates to the 16th century.